CINCINNATI — Amid growing concerns about commercial crew delays, a U.S. Government Accountability Office report recommended NASA share more schedule information with Congress and develop contingency plans to maintain access to the International Space Station. In a July 11 report, the GAO said that Boeing and SpaceX could miss their current schedules for having their commercial crew vehicles certified by NASA by a year or more, creating a gap in access to the station when the agency’s use of Soyuz seats ends late next year. Current public schedules call for Boeing and SpaceX to make uncrewed test flights in August, followed by crewed test flights by Boeing in November and SpaceX in December. 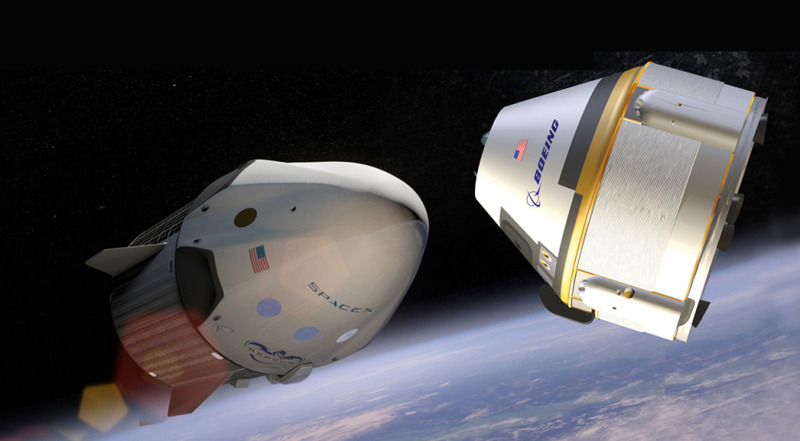 On that schedule, Boeing would be certified by NASA to transport astronauts to the ISS in January 2019, followed by SpaceX in February. However, those dates are expected to slip, perhaps significantly, according to NASA’s own schedule risk analysis assessments. “In April 2018, the program’s schedule risk analysis found there was zero percent chance that either contractor would achieve its current proposed certification milestone,” the report stated. Instead, that analysis predicts the “average” certification date to be December 2019 for Boeing and January 2020 for SpaceX. That’s nearly the reverse of what the GAO reported earlier this year, when it said NASA was projecting an average certification date of December 2019 for SpaceX and February 2020 for Boeing. The report notes, though, that those dates could slip further: NASA’s range of dates for the certification milestone extend into the fall of 2020. That becomes a concern for NASA since the agency’s access to Soyuz seats for transporting astronauts to and from the station ends in late 2019. The GAO said that NASA needs to develop a contingency plan for continued ISS access should commercial crew certification slip to 2020. “If NASA does not develop options for ensuring access to the ISS in the event of further Commercial Crew delays, it will not be able to ensure that the U.S. policy goal and objective for the ISS will be met,” the report argued. NASA has offered some approaches to addressing a potential gap, including stretching out the schedule of Soyuz flights to the ISS to extend access to the station until January 2020. NASA also said earlier this year it was considering extending the crewed demonstration flights, allowing them to stay at the station for up to several months to maintain a U.S. presence there. Other unidentified options are apparently under consideration as well. “However, officials told us that planning for contingencies is difficult given the extensive international negotiations required for some options,” the report noted. The GAO also chastised NASA for not incorporating updated schedule information and passing that information along. Agency officials last month continued to stick to the schedule announced earlier this year despite widespread expectations that those dates will slip, saying only that revised schedules will be announced soon. GAO also recommended that NASA include its own schedule risk analysis in its quarterly reports to Congress. NASA, though, said in a response that it has no plans to do so, and will instead maintain current practice of using company estimates along with a “qualitative statement” from the agency on those schedules. NASA accepted other recommendations in the report, including development of a contingency plan for ISS access if there are further crew delays. That plan will be complete by the end of December, the agency said in its response. Other recommendations addressed safety issues, including separating the roles of managing commercial crew safety issues and independent oversight of safety so that the same person doesn’t hold both. It also agreed to document lessons learned from the use of the “loss of crew” metric for crew safety.